Curling your eyelashes makes a large difference to your look. After curling your eyelashes you look more awake, your lashes look more longer and your eyes look more defined. There are lots of ladies who scared of curling their eyelashes, but really there is no reason to be afraid. You can easily curl your eyelashes by following some of the very easy steps. IT’S TIME TO START !! Step 1: Start only when your eyelashes are clean, dry and mascara-free (otherwise it can lead breakage of your eyelashes). 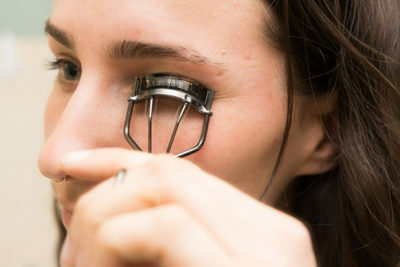 Now, open the eyelash curler and keep your eyes open and place your upper lashes in between the two sides of the curler. Step 2: Position the curler as close as possible to your eyelid without pinching your skin. When your lashes are tucked inside then gently clamp the curler together. Step 3: Hold for ten seconds then you can again repeat it if more required. 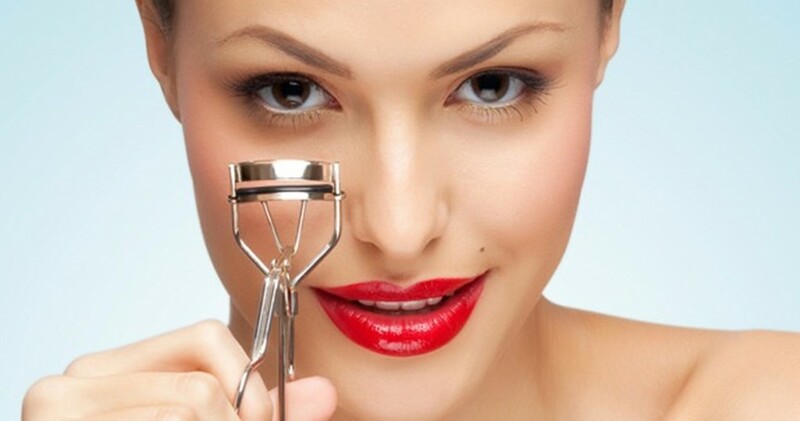 This makes your lash curler extra gunky, it can also damage your eyelashes. When mascara dries, it makes your lashes harder and less flexible. And curling them when they’re in a stiff state can lead to breakage. Lots of professional say to “Heat-up” your curler (by blow dryer etc) before you start because it gives a perfect curl to your eyelashes but doing this regularly it can lead breakage of your eyelashes. So, always try to use a right curler for your eyelashes because then there is no need heat up your curler. Even if you’re always curling your lashes before applying mascara then also there is a chance that eyeliner, eyeshadow or the dead skin cells are getting all over it. So try to clean it once in a week. Over the time little pads inside the eyelash curler can get dirty. So try to change it in 2 to 3 months. If you don’t want to harm your eyelashes and want to curl them in an effective way then quality really counts. A high-quality curler won’t require you to press too hard. 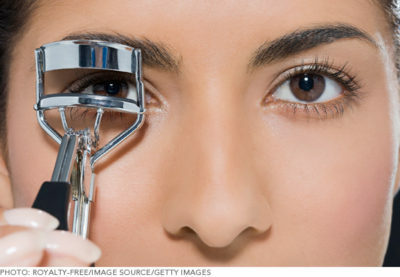 So, it really makes a difference to spend money on an eyelash curler — the cheap ones just don’t use it. If you want to have long, healthy lashes then make sure that at the time of curling your lashes, you are applying a gentle pressure not too much pressure. Because pressing down too hard can not only give your lashes a weird 90-degree angle rather than a realistic curve, it can also break your lashes. Still, if you don’t get the proper idea to curl your eyelashes then you can see some videos listed below from where I am sure you can learn how to curl your eyelashes.